Written by a distinguished son of Galloway, John F Robertson, this fascinating book traces the story of his native heath from prehistoric times to the present day. 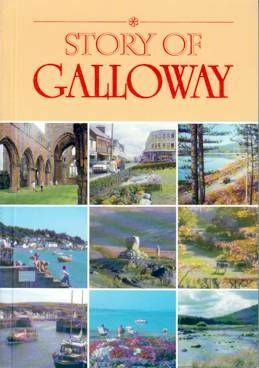 He explains how Galloway remained fiercely independent while the rest of Scotland was united; how the influence of England predominated at many stages of its history, how proximity to Ireland led to a continuous flow of immigrants for several thousand years; how despite its central position in the British Isles, Galloway was almost completely unaffected by the Industrial Revolution and its unwelcome side effects remaining, until the mid-18th century, a rural and somewhat isolated agricultural community. The advent of the railway and in time the motor car, was to change all that. 213 pages packed with evocative stories and facts, this book is a must read for natives and visitors.